Frankie Thieriot Stutes and Chatwin at Fair Hill. Photo by Sherry Stewart. We are delighted to announce that The Chatwin Group’s Chatwin has been named 2018 EN Horse of the Year after besting the field of five nominees and garnering more than 50% of the vote. 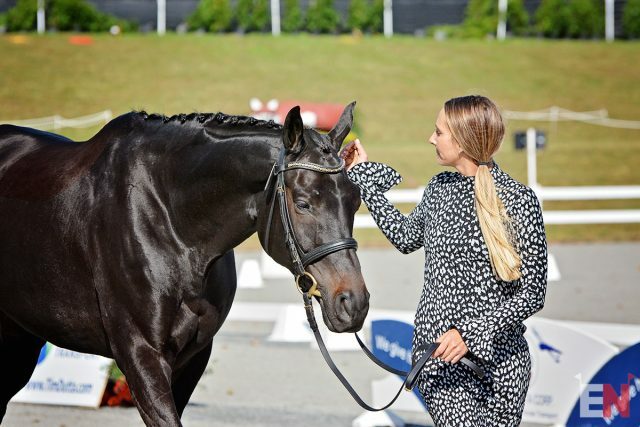 As the only horse of amateur rider and mother of two Frankie Thieriot Stutes, Chatwin garnered international attention when EquiRatings highlighted that he was the only horse in the world to win two events at the CCI4*-L (formerly CCI3*) level or higher in 2018. Chatwin, a 10-year-old Oldenburg (Contendro I X Oktav, by Oldtimer), won his last four events of the 2018 season, starting with the Rebecca Farm CCI4*-L (formerly CCI3*) and concluding with the Dutta Corp Fair Hill International CCI4*-L. Frankie and Chatwin led Fair Hill wire-to-wire and finished on their dressage score to become the USEF National Champions. Their finishing score of 27.3 was the lowest at a CCI4*-L in North America in 2018. Frankie Thieriot-Stutes and Chatwin, 2018 USEF National Champions. Photo by Shannon Brinkman. 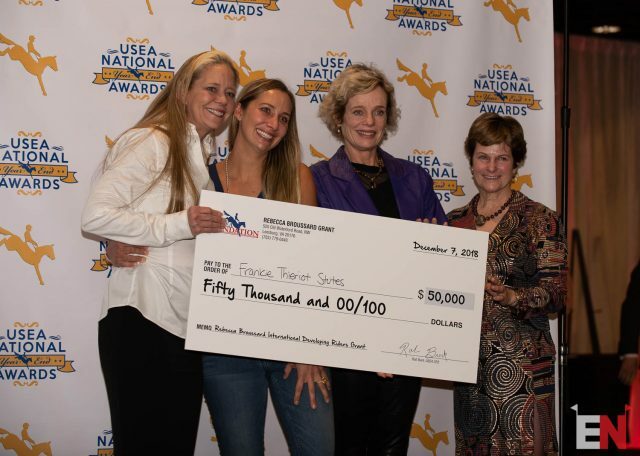 While Frankie, who was named the 2018 USEA Adult Amateur of the Year, acknowledges that she had a stellar season, she is also quick to point out that her season had a rather inauspicious start. She fell off at Twin Rivers in March — her first time hitting the dirt at an event in 14 years. 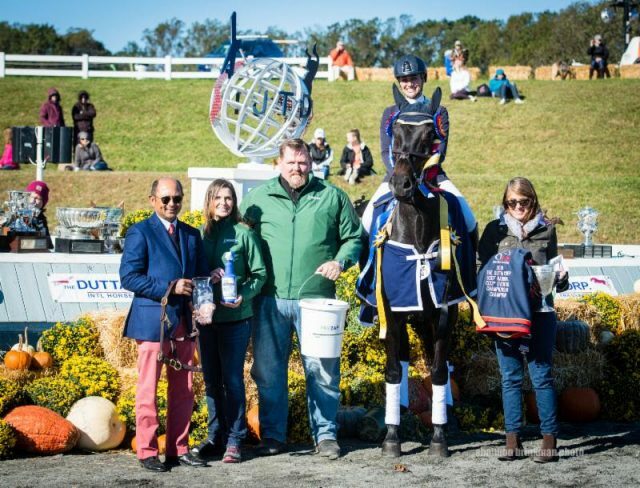 Frankie said she is incredibly grateful for all the support she and Chatwin received during their fairytale season, which culminated in receiving the $50,000 Rebecca Broussard International Developing Rider Grant and landing a spot on the 2019 USEF Developing Potential Training List. Frankie Thieriot Stutes received, among many other year-end awards, the $50,000 Rebecca Broussard International Developing Rider Grant. Photo by Leslie Threlkeld. “I had a wonderful season and 2018 was a year you can’t dream up, but it’s what we do in 2019 that matters now. When things don’t go right, I allow myself a little while to be really upset and then I move on. I think it’s important to have the same mentality about being successful,” Frankie said. Chatwin has started back to work after his winter holiday and is on a path that Frankie hopes will lead to her life-long goal of competing in her first CCI5*-L at the Land Rover Kentucky Three-Day Event. She was entered to compete at Kentucky in 2010 with her former upper-level partner Fric Frac Berence, but he sustained an injury two weeks prior to shipping out. She started Athletux, an equine marketing company, soon after, and for the past seven years she has attended Kentucky to represent and support her clients. While competing at Kentucky is her main goal for the 2019 season, Frankie is also thrilled to have the opportunity to compete overseas for the first time thanks to the $50,000 Rebecca Broussard International Developing Rider Grant. 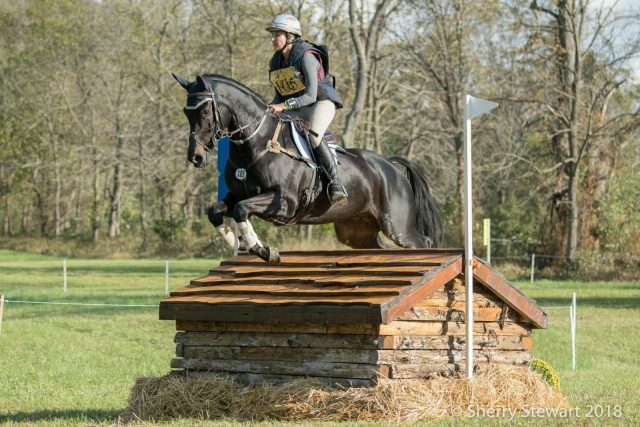 No matter where her 2019 season ultimately takes her, Frankie hopes she and Chatwin can continue serving as ambassadors for adult amateur riders who have dreams to compete at the upper levels.